Welcome to the world of edible art! 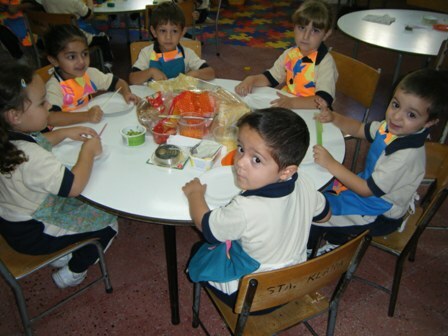 Children need to be exposed to a variety of foods. One fun way to introduce a new kind of food is to present it in a new format: as art! 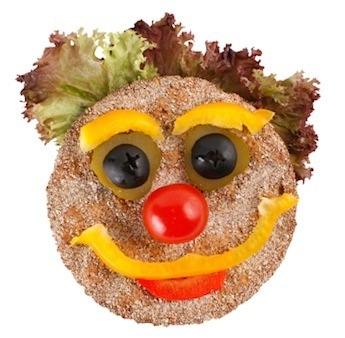 Edible art gives the children the opportunity to create a unique masterpiece by utilizing fruits, lentils, vegetables and cheese. 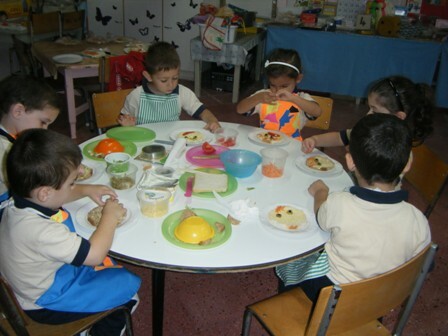 In Ms Cilia’s class (KG1.4) the children were encouraged to make edible funny faces. 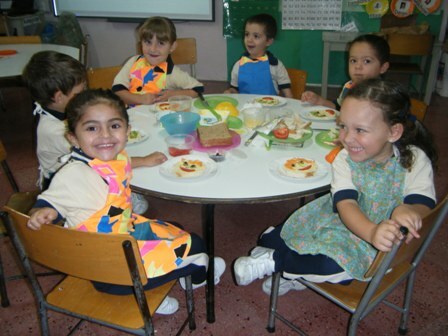 The children participated in the activity with great enthusiasm, and at the end of the activity they were delighted to eat their work of art. The ingredients are all on the table and the children have put on their aprons. Now they are ready to start the activity. 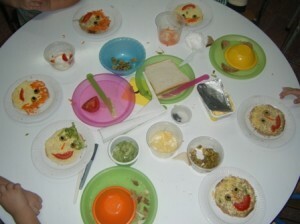 The children are using their imagination to make a face complete with eyes, nose, ears and hair. The children are happy with their finished product. Some of the finished faces. Bon appétit!